This complete pre-license package represents our most successful method for passing the state exam. 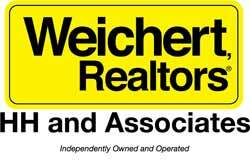 Weichert, Realtors® - HH and Associates has partnered with the Chamberlin Real Estate School to offer a unique "home-study" program, which includes a reading assignment (online or textbook), chapter homework assignments, on-line final examinations. This combination of reading on-line assignments, and our video prep course has proven to be a superior method of preparing to pass the state salesperson examination.